Did you know that there is a day dedicated to gold? Gold Day is celebrated on September 7 (7.9). 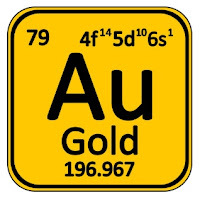 This is the atomic number of gold on the periodic table. 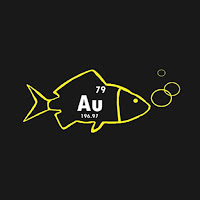 Gold is a chemical element with the symbol Au (from the Latin: aurum) and the atomic number 79, which makes it one of the elements of greater atomic number that occurs naturally. In its purest form, it is a shiny, slightly reddish, dense, soft, malleable and ductile metal. Chemically, gold is a transition metal and a member of group 11. It is one of the least reactive chemical elements and is solid under standard conditions. 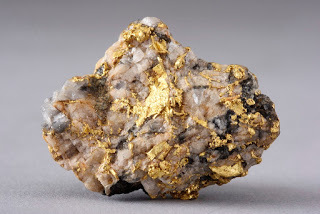 Gold usually occurs in free (native) elemental form, such as nuggets or grains, in rocks, veins and alluvial deposits. It occurs in a number of solid solutions with the native silver element (like electrum) and also naturally bound with copper and palladium. Less commonly, it occurs in minerals as compounds of gold, often with tellurium (gold tellurides). Gold is resistant to most acids, although it dissolves in water, a mixture of nitric acid and hydrochloric acid, which forms a soluble tetrachlorourate anion. Gold is insoluble in nitric acid, which dissolves silver and base metals, a property that has long been used to refine gold and confirm the presence of gold in metallic objects, giving rise to the term acid test. Gold also dissolves in alkaline cyanide solutions, which are used in mining and electroplating. Gold is attacked and dissolves in alkaline solutions of potassium or sodium cyanide, forming gold-cyanide saline - a technique that has been used in the extraction of metallic gold from ores in the cyanide process. Gold cyanide is the electrolyte used in the commercial electrodeposition of gold into basic metals and electroforming. Gold dissolves in mercury, forming amalgam alloys, but this is not a chemical reaction. Gold is a relatively rare element, it is a precious metal that has been used for minting coins, jewelry and other arts throughout recorded history. In the past, a gold standard was often implemented as a monetary policy, but gold coins were no longer minted as currency in the 1930s, and the world gold standard was abandoned by a fiduciary monetary system after 1976. The worldwide consumption of new gold produced is used in about 50% for jewelry, 40% is used for investments and 10% is used in the industry. The high malleability of gold, ductility, corrosion resistance and most of the chemical reactions and conductivity of the electricity led to its continuous use in corrosion resistant electrical connectors in all types of computerized devices (its main industrial use). Gold is also used in infrared protection, colored glass production, gold foil and tooth restoration. Certain gold salts are still used as anti-inflammatories in medicine. It is believed that gold was produced in the nucleosynthesis of supernovae from the collision of neutron stars and has been present in the dust from which the solar system formed. As the Earth was melted when it was formed, almost all the gold present on the early Earth probably sank into the planetary core. Therefore, it is believed that most of the gold that is in the Earth's crust and mantle has been delivered to Earth later because of the impact of asteroids during the last heavy bombardment about 4 billion years ago. Traditionally, gold is believed to have formed by the rapid neutron capture process in supernova nucleosynthesis, but more recently it has been suggested that gold and other elements heavier than iron can also be produced in quantity by the process in the collision of neutron stars. 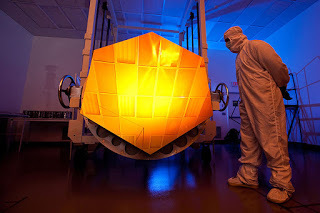 In both cases, the satellite spectrometers only indirectly detected the resulting gold: "we have no spectroscopic evidence of what [such] elements actually were produced," wrote author Stephan Rosswog. However, in August 2017, signatures of heavy elements, including gold, were observed by gravitational wave detectors and other electromagnetic observatories in the event of neutron star fusion GW170817. Current astrophysical models suggest that a single fusion event of neutron stars generated between 3 and 13 terrestrial gold masses. The asteroid that formed the Vredefort crater 2,020 billion years ago is often credited with sowing the Witwatersrand basin in South Africa with the richest gold deposits on Earth. However, the gold rocks of the Witwatersrand were established between 700 and 950 million years before the Vredefort impact. These gold-bearing rocks had been covered by a thick layer of Ventersdorp lavas and the Transvaal Rocks Supergroup before the meteor was struck. What the Vredefort impact did, however, was to distort the Witwatersrand basin in such a way that the gold-bearing rocks were brought to the present erosion surface at Johannesburg in the Witwatersrand within the original 300-km-diameter crater rim by the meteor attack. The discovery of the depot in 1886 launched the Witwatersrand Gold Rush. About 22% of all the gold that exists today on Earth was extracted from these Witwatersrand rocks. Is it possible to make gold? Gold is only found in nature, yet alchemists all over the world and for several centuries have tried and still try to transmute lower metals into gold. It has now been possible to transmute bismuth and lead into gold, but the processes for this transmutation are very costly to exceed the large hundreds of dollars the gram of gold, and a large investment is not compensatory. Alchemists have tried to transmute gold for centuries, but it seems that modern alchemists have succeeded through current technologies. Scientists at Michigan State University have identified a bacterium capable of secreting gold. Cupriavidus metalliduran not only survives toxic concentrations of gold chloride but thrives. By feeding a colony, Kazem Kashefi and Adam Brown led the microbes to create 24-carat gold nuggets - that is, pure gold. Cupriavidus metalliduran acts together with the species Delftia acidovorans, acts on the formation of gold nuggets, by precipitation of metallic gold from the solution of gold chloride (III), a compound highly toxic to most other microorganisms. Delftia acidovorans is a gram-negative, non-spore, aerobic, rod-shaped bacterium known for its ability, in conjunction with Cupriavidus metallidurans, to produce pure gold nuggets. Gold is the most malleable of all metals; a single gram can be beaten until it is turned into a 1-square-meter sheet. A gold leaf can be beaten sufficiently to become a semi-transparent sheet. 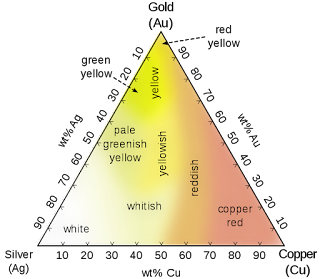 The transmitted light appears in blue-green because the gold reflects strongly yellow and red. These semi-transparent sheets also strongly reflect infrared light, making them useful as infrared shields (radiant heat) on visors of heat-resistant clothing, and visors for space suits. Gold is a good conductor of heat and electricity. Gold has a density of 19.3 g / cm 3, almost identical to that of tungsten at 19.25 g / cm 3; As such, tungsten has been used in forging gold bars, for example, by plating a tungsten bar with gold, or by picking up an existing gold bar, by sticking and replacing the gold removed with tungsten rods. In comparison, the density of the lead is 11.34 g / cm 3 and that of the denser element, the osmium, is 22.588 ± 0.015 g / cm 3. On Earth, gold is found in ores on rock formed from pre-Cambrian times. Because it is relatively inert, it can be found as metal, sometimes as large nuggets, but is usually found in small inclusions in some minerals, such as quartz, metamorphic rocks and alluvial deposits originating from these sources. Gold is widely distributed, and is often associated with quartz and pyrite. It is common as impurity in many ores, from where it is extracted as a by-product. Gold sometimes occurs in conjunction with tellurium (gold telluride) as the minerals calaverite, krennerite, nagyagite, petzite and silvanite, and as the rare maldonite bernutida (Au2Bi) and the antimonide aurostibito (AuSb2). Gold also occurs in rare alloys with copper, lead and mercury: the minerals auricupride (Cu3Au), novodneprite (AuPb3) and weishanite ((Au, Ag) 3Hg2). 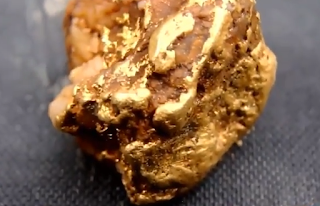 The gold is extracted by a process called cyanide leaching. The use of the cyanide facilitates the oxidation of the gold forming (CN) 22- in dissolution. To separate the gold from the solution, the reduction is carried out using, for example, zinc. It has been tried to replace the cyanide with another binder due to the environmental problems it generates, but they are not profitable or they are also toxic. Recent research suggests that microbes can sometimes play an important role in the formation of gold deposits, transporting and precipitating gold to form grains and nuggets that accumulate in alluvial deposits. Another recent study said that water failures evaporate during an earthquake, depositing gold. When an earthquake strikes, it moves along a fault. Water often lubricates faults, filling fractures and movements. About 10 km below the surface, under incredible temperatures and pressures, the water carries high concentrations of carbon dioxide, silica and gold. During an earthquake, the failed race suddenly opens more. The water inside the emptiness vaporizes instantly, making the steam flow and forcing the silica, which forms the quartz mineral, and the gold of the fluids to the nearby surfaces. Gold is scattered throughout the earth's crust in a very low average concentration (5 grams in 1000 tonnes), and still lower in the oceans (from 0.1 μg / kg to 2 μg / kg), where it is estimated that there are billions of tons of gold, but of exploitation economically unfeasible by the current methods (a trillion liters of sea water contain 120 kg, or 1 kilo in more than 8.3 billion liters. usually above 3 grams per ton, if the same content were found in the sea, 1 trillion liters could supply 3,000 tons of gold. The deep waters of the Mediterranean contain slightly higher concentrations of gold (100-150 femtomol / L) attributed to dust and / or rivers or blown by the wind. The following gold medals are recognized worldwide: 375, 500, 583, 585, 750, 958, 996, 999.9 (used in the aerospace industry). The gold (alloyed) blend is most often found under No. 583. The alloys of this test may have different colors, depending on the amount and composition of the metals. For example, if the gold alloy of test nº 583 (58.3% gold) contains about 36% silver and copper 5.7%. This alloy has a slightly green hue if it is 18.3% silver and 23.4% copper - it turns pink if it is 8.3% silver and 33.4% copper - one color reddish. Gold with Proof # 958 is three components, plus gold contains silver and copper and is usually used to make wedding rings. b) in gold alloy No. 750: silver 7.0-15.0%, palladium up to 14%, nickel up to 4%, zinc up to 2.4% or nickel 7.5-16.5%, zinc 2.0 -5.0% and copper up to 15%. Because of the softness of pure gold (24k), it is usually bonded with basic metals for use in jewelry, changing its hardness and ductility, melting point, color and other properties. Lower carat alloys, typically 22k, 18k, 14k or 10k, contain higher percentages of copper or other base metals or silver or palladium in the alloy. Nickel is toxic and its release of white gold from nickel is controlled by legislation in Europe. Palladium-gold alloys are more expensive than nickel alloys. High-carat white gold alloys are more resistant to corrosion than pure silver or sterling silver. 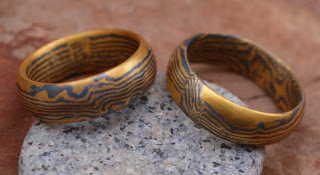 Mokume-gane is a Japanese machining procedure that exploits the color contrasts of gold between colored gold-plated alloys to produce decorative grain-wood effects. Mokume-gane translates closely to "wood grain metal" or "wooden eye metal" and describes the way the metal takes on the appearance of the natural wood grain. Gold welding is used to join gold jewelry components by high temperature brazing or brazing. If the work should be of branded quality, the gold solder alloy should match the fineness (purity) of the work, and the alloy formulas are manufactured to match yellow and white gold color. Gold welding is usually done in at least three bands of melting point referred to as Easy, Medium and Hard. Using high melting solder followed by progressively lower melting welds, goldsmiths can assemble complex items with several separate welded joints. Gold can also be made online and used in embroidery. Only 10% of the world's new gold consumption is intended for industry, but by far the most important industrial use for new gold is in the manufacture of corrosion-free electrical connectors in computers and other electrical devices. For example, according to the World Gold Council, a typical cell phone may contain 50 mg of gold. Although gold is attacked by free chlorine, its good conductivity and general resistance to oxidation and corrosion in other environments (including resistance to non-chlorinated acids) have led to its widespread industrial use in the electronic age as a thin layer coating on electrical connectors , thus ensuring a good connection. For example, gold is used in the most expensive electronic cable connectors such as audio, video and USB cables. 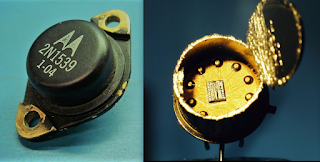 The benefit of using gold over other metal connectors, such as tin in such applications, has been debated; gold connectors are often criticized by audio-visual experts as unnecessary to most consumers and viewed simply as a marketing trick. 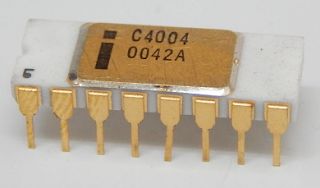 However, the use of gold in other applications in sliding electronic contacts in highly humid or corrosive atmospheres, and in use for contacts with high cost of failure (certain computers, communication equipment, spacecraft, jet engines) is very common. In addition to sliding the electrical contacts, gold is also used in electrical contacts due to its resistance to corrosion, electrical conductivity, ductility and lack of toxicity. The key contacts are usually subjected to a stronger corrosion stress than the sliding contacts. Thin gold wires are used to connect semiconductor devices to their housings by a process known as wiring. The concentration of free electrons in gold metal is 5.91 × 1022 cm3. Gold is highly conductive of electricity and has been used for electrical wiring in some high energy applications (only silver and copper are more conductive by volume, but gold has the advantage of corrosion resistance). For example, gold electrical wires were used during some of the Manhattan Project atomic experiments, but large high-current silver wires were used in the boiler isotope separator magnets in the design. It is estimated that 16% of the world's gold and 22% of the world's silver are contained in electronic technology in Japan. Gold is often mentioned in the Old Testament, beginning with Genesis 2:11 (in Havilah), the story of the Golden Calf and many parts of the temple, including the Menorah and the golden altar. In the New Testament, it is included in the gifts of the magicians in the early chapters of Matthew. The book of Revelation 21:21 describes the city of New Jerusalem as having streets "made of pure gold, crystal clear." It is said that gold exploration in the southeast corner of the Black Sea dates back to the time of Midas, and this gold was important in establishing what is probably the oldest coinage in the world in Lydia around 610 BC. Great human achievements are often rewarded with gold, in the form of gold medals, gold trophies and other decorations. Winners of sporting events and other classified competitions generally receive a gold medal, such as the Olympic Games. Many prizes such as the Nobel Prize are also made of gold. Other statues and awards are represented in gold or gold-plated (such as the Oscars, the Golden Globes, the Emmy Awards, the Palme d'Or, the British Academy Film Awards among many others). Aristotle, in his ethics, used the symbolism of gold by referring to what is now known as the golden mean. In the same way, gold is associated with perfect or divine principles, as in the case of golden proportion and the golden rule. Gold is still associated with the wisdom of aging and fruition. The 50th wedding anniversary is golden. The most valued or most successful years of a person are sometimes considered "golden years." The most prosperous years of a nation or a civilization is referred to as a golden age. In some forms of Christianity and Judaism, gold has been associated with both holiness and evil. In the Book of Exodus, the Golden Calf is a symbol of idolatry, while in the Book of Genesis, Abraham was said to be rich in gold and silver, and Moses was instructed to cover the mercy seat of the Ark of the Covenant with pure gold. In Byzantine iconography, the halos of Christ, Mary and the Christian saints are often gold. According to Christopher Columbus, those who possessed something of gold possessed something of great value on Earth and a substance that even helps souls to reach paradise. Wedding rings are made of gold as it is long lasting and unaffected by the passage of time and can aid in the symbolism of the ring of eternal vows before God and the perfection that marriage means. In the Orthodox Christian wedding ceremonies, the couple is adorned with a golden crown during the ceremony, a fusion of symbolic rites. Credit cards or customer loyalty cards are described as "gold card" or "gold card", are some of other examples. 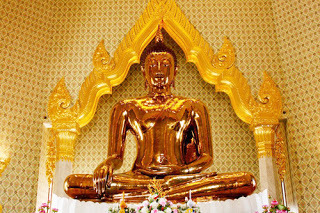 The largest gold piece in the world is the Golden Buddha of Wat Traimit in Thailand and weighs no less than 5 tonnes of pure gold. Midas is a character from Greek mythology and was King of a region whose name was Phrygia. The main myth attributed to Midas, that of transforming into gold everything he touched, acquired a symbolic and metaphorical character in contemporary society, and symbolic analogies such as that of a "Midas complex" are easily understood in our culture, or it is attributed that an individual who possesses the "Midas touch" is one who has the ability to make something thrive, multiplying profits. Metallic gold compounds have long been used for medicinal purposes. Gold, usually as the metal, is perhaps the oldest medicine administered (apparently by shamanic practitioners) and known to the Dioscorides. In medieval times, gold was often seen as beneficial to health, in the belief that something so rare and beautiful could not be anything but healthy. Even some modern esotericists and forms of alternative medicine ascribe to metal gold a healing power. In the nineteenth century, gold had the reputation of "nervine," a therapy for nervous disorders. Depression, epilepsy, migraine and glandular problems, such as amenorrhea and impotence, were treated and, mainly, alcoholism (Keeley, 1897). The apparent paradox of the substance's actual toxicology suggests the possibility of serious gaps in the understanding of the action of gold in physiology. Only gold salts and radioisotopes are of pharmacological value, since elemental (metallic) gold is inert to all chemicals found in the body (ie gold ingested can not be attacked by gastric acid). Some gold salts have anti-inflammatory properties and currently two are still used as pharmaceuticals in the treatment of arthritis and other similar conditions in the US (sodium aurothiomalate and auranofin). These drugs have been explored as a means of helping to reduce the pain and swelling of rheumatoid arthritis, and also (historically) against tuberculosis and some parasites. Gold alloys are used in restorative dentistry, especially in dental restorations such as crowns and permanent bridges. The slight malleability of gold alloys facilitates the creation of a superior molar coupling surface with other teeth and produces generally more satisfactory results than those produced by the creation of porcelain crowns. The use of gold crowns on more prominent teeth, such as the incisors, is favored in some cultures and discouraged in others. Solutions of gold chloride (chloruric acid) are used to make colloidal gold by reducing with citrate or ascorbate ions. Gold chloride and gold oxide are used to produce crystals or red glasses, which, like colloidal gold suspensions, contain spherical gold nanoparticles of uniform size. Gold colloidal preparations (suspensions of gold nanoparticles) in water are intensely red, and can be made with rigidly controlled particle sizes up to a few tens of nanometers by reducing gold chloride with citrate or ascorbate ions. Colloidal gold is used in research applications in medicine, biology and materials science. The immunogold labeling technique explores the ability of gold particles to adsorb protein molecules on their surfaces. Colloidal gold particles coated with specific antibodies can be used as probes for the presence and position of antigens on the cell surfaces. In ultra-thin sections of tissues seen by electron microscopy, immunogold labels appear as extremely dense round spots at the antigen position. Gold, or gold and palladium alloys, are applied as conductive coating to biological specimens and other nonconductive materials, such as plastics and glass, to be seen in a scanning electron microscope. 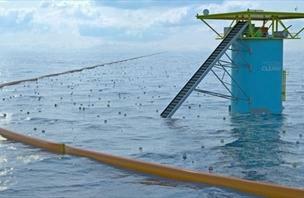 The coating, which is usually applied by cathodic spray with argon plasma, has a triple role in this application. The very high electrical conductivity of gold drains the electric charge to Earth, and its very high density provides stopping energy for the electrons in the electron beam, helping to limit the depth at which the electron beam penetrates the test body. This improves the definition of the position and topography of the sample surface and increases the spatial resolution of the image. Gold also produces a high output of secondary electrons when irradiated by a beam of electrons, and these low energy electrons are the most commonly used signal source in the scanning electron microscope. The gold isotope-198 (half-life of 2.7 days) is used in nuclear medicine, in some cancer treatments and for the treatment of other diseases. Gold can be used in food and has the E 175 number. In 2016, the European Food Safety Authority published an opinion on the reassessment of gold as a food additive. Concerns included the possible presence of minimal amounts of gold nanoparticles in the feed additive and that the gold nanoparticles showed to be genotoxic in mammalian cells in vitro. Gold leaf, flake or powder are widely used in some gourmet foods, especially sweets and beverages as a decorative ingredient. The gold flake was used by the nobility in medieval Europe as decoration in food and drink, in the form of leaves, flakes or powder, both to demonstrate the wealth of the host and the belief that something valuable and rare should be beneficial to health. A little all over the world we've heard of some international cuisine menu that may contain gold leaf. Vark is a sheet made up of pure metal that is sometimes gold, and is used to garnish sweets in South Asian cuisine. Danziger Goldwasser (German: Gold gold of Danzig) or Goldwasser (in English: Goldwater) is a traditional German herbal liqueur produced in what is now Gdańsk, Poland, and Schwabach, Germany, and contains gold leaf flakes. Smirnoff Gold Collection was a limited edition of the famous Gold Leaf Vodka. 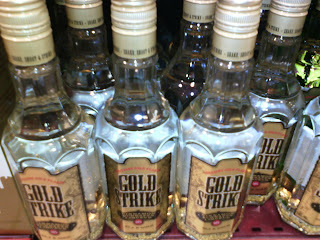 Gold Strike is a cinnamon liqueur drink with gold leaves. Goldschläger is a Swiss cinnamon schnapps, a liqueur with gold flakes. Some wines Portuguese and Spanish, non-current, are produced with small gold flakes. There are also some expensive cocktails that contain flakes of gold leaf. However, because metallic gold is inert to all body chemistry, it has no taste, does not provide nutrition, and leaves the body unchanged. Gold produces a deep deep red color when used as a dye in blackberry glass. In photography, gold toners are used to change the color of black-and-white prints with silver bromide to brown or blue tones, or to increase their stability. Used in sepia prints, gold toners produce red tones. Kodak has published formulas for various types of gold toners, which use gold as chloride. Gold is a good reflector of electromagnetic radiation, such as visible and infrared light as well as radio waves. It is used for protective coatings on many artificial satellites, infrared protection plates in thermal protection clothing and astronaut helmets, and on electronic warplanes such as the EA-6B Prowler. Gold is used as a reflective layer on some high-end CDs. Cars can use gold for heat shielding. McLaren uses gold leaf in the engine compartment of its F1 model. Gold can be made so thin that it looks semitransparent. It is used in some aircraft cockpit windows to defrost or anti-ice by passing electricity through it. The heat produced by the gold resistance is sufficient to prevent the formation of ice. Pure metallic (elemental) gold is non-toxic and non-irritating when ingested and is sometimes used as food decoration in the form of gold leaf. Metallic gold is also a component of the Goldschläger, Gold Strike and Goldwasser alcoholic beverages. Metallic gold is approved as a food additive in the EU (E175 in the Codex Alimentarius). Although the gold ion is toxic, the acceptance of metallic gold as a food additive is due to its relative chemical inertia and resistance to corrosion or transformation into soluble salts (gold compounds) by any known chemical process that is found in the body of the human being. Soluble compounds (gold salts), such as gold chloride, are toxic to the liver and kidneys. Common gold cyanide salts, such as potassium cyanide and gold, used in gold electroplating are toxic because of their cyanide and gold content. There are rare cases of lethal gold poisoning from gold and potassium cyanide. 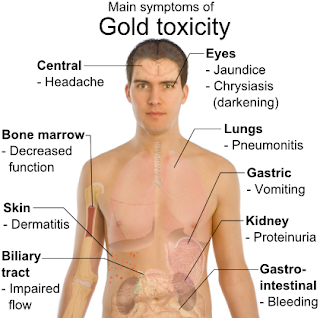 The toxicity of gold can be improved with chelation therapy with an agent such as dimercaprol. The gold metal was elected the Allergen of the Year in 2001 by the American Contact Dermatitis Society, contact allergies with gold primarily affect women. Despite this, gold is a relatively non-potent contact allergen compared to metals such as nickel. 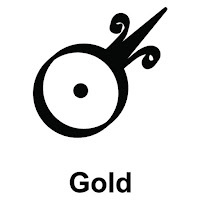 Generally an allergy to an alliance is not an allergy to gold but an allergy to some other metal contained in the gold alloy of this alliance. 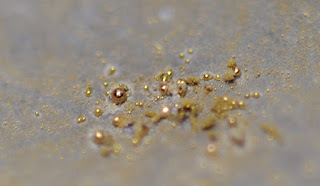 A sample of the Aspergillus niger fungus was found growing from the gold mining solution, and found to contain cyano-metal complexes; such as gold, silver, copper and zinc. The fungus also plays a role in the solubilisation of heavy metal sulphides. The reserve gold bullion in physical bars give an important economic factor to the country.